Slain student Zolile Khumaloâ€™s family is concerned about their safety after a man believed to be her killer Thabani Mzoloâ€™s relative allegedly insulted them outside the Durban High Court. 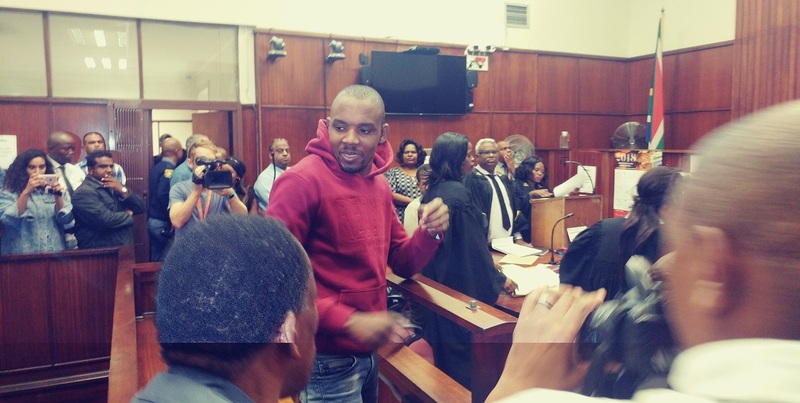 On Monday, Zolile Khumaloâ€™s murder accused Thabani Mzolo appeared before the judge at the Durban High Court for his three-day trial. Mzolo stands accused of allegedly shooting dead his former girlfriend, who was a student at the Mangosuthu University of Technology. Mzoloâ€™s trial was set to begin on Monday at the High Court, however was adjourned to 15 October 2018 after his attorney Charl Classeen withdrew his services due to financial reasons. Mzolo remains remanded in custody. Sitting in the dock in his light brown leather jacket, Mzolo had Khumalo family seated behind him at the public gallery. While attending to the media outside court, a man believed to be Mzoloâ€™s relative was heard hurling insults to the family and a journalist. According to a family member, Â â€œhe started insulting us and the journalist. He asked the journalist â€˜Are you taking their photographs for s****?â€™ While the journalist was taking pictures of us,â€ she said. The deceasedâ€™s father, Comfort Khumalo, said it was worrisome for the family to be victimised at the court’s premises. â€œIt hurts me to be insulted by someone just outside the courtroom because it shows that their brother killed a cat when he killed my child. What angers me the most is the fact that if one can throw insults at you at the court, anything can happen outside court. â€œWe don’t know what weapon he had with him when he was insulting us. He was even ready for a fight because he called us to follow him outside the court. It’s alarming to know that one can be killed just at the court of law and no one will know who did it,â€ he said. Khumalo added that it’s hard for the family to travel all the way from Eshowe to attend the case, only to find that it will be adjourned. â€œThe proceedings have taken a toll on us. It’s very expensive to travel all the way from home to here. Also, when we come here we leave everything else but only to find that there are no developments. It’s really sad,â€ Khumalo said. Khumalo family spokesperson Mabongi Myeni said the family was worried about the court proceedings.â€œWe are obviously worried but there’s nothing we can do. We are now leaving everything in Godâ€™s hands and we know that he (Mzolo) is not at peace wherever he is. What he did haunts him,â€ she said. Mzolo is expected to be back in Court for his trial proceedings on 15 October, where he will be represented by a legal aid attorney.